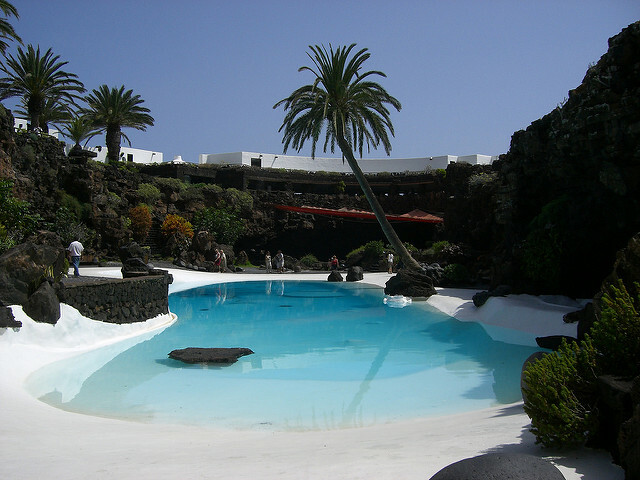 Lanzarote is an island of geographical, cultural and artistic interest. Small enough that you can comfortably visit most places on the island in a week and blessed with decent weather for most of the year. Lanzarote offers both winter sun and summer heat making it the perfect all year round destination. Lanzarote, for the uninitiated, is one of the Spanish Canary Islands, off the coast of Spain it accompanies Tenerife, Gran Canaria, Fuerteventura and the smaller islands of La Palma and La Gomera. 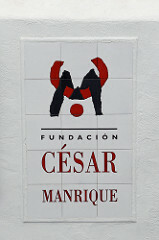 Cesar Manrique is the name you hear a lot in Lanzarote. A compatriot of Picasso, Manrique was born and died on Lanzarote. It was Manrique who suggested that all the buildings be painted in local colours, mainly white, and that none should be highrise. Manrique is to Lanzarote what Gaudi is to Barcelona. He designed many of the key buildings on the island and, as you drive around, you will see his intriguing mobiles on many roundabouts. Artist, designer, architect and lover of the Canarian way of life, Manrique left his mark on a Spanish island that is well worth a visit. Drag yourself away from the sun lounger and hit the highlights of Lanzarote. 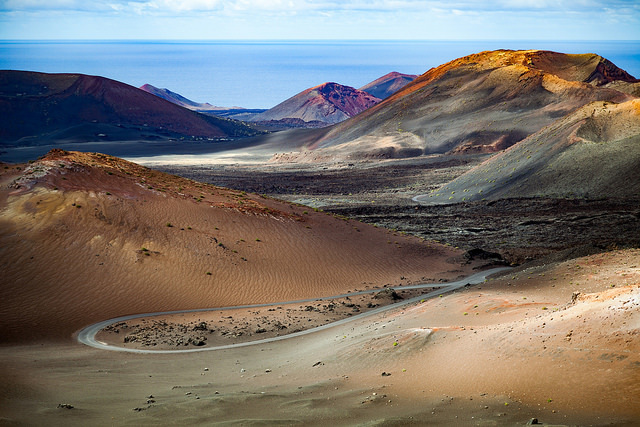 Timanfaya is one of the most extraordinary places I have visited and, I imagine, the closest I will get to a Martian like landscape of red and black scorched earth. A vast lava field from volcanic eruptions over hundreds and thousands of years stretches out before you. Whilst the volcano has lain dormant for centuries, beneath ground the temperatures still soar to 600 degrees and when water is poured into holes, it shoots back out like a geyzer. To see the lava field you cannot wander at will around the park – you take a coach tour on a route designed by Manrique. There is a visitor centre and restaurant, also designed by Manrique, and they cook with the heat from the volcanic earth. This is your chance to eat lunch cooked by volcano! 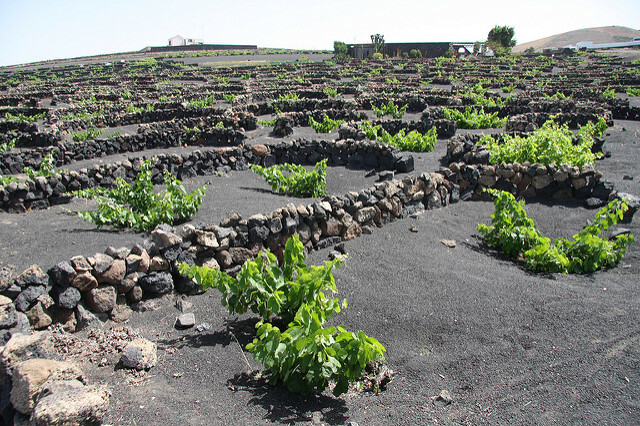 Driving to Timanfaya you will pass the most unusual vineyards I have ever seen, the vines planted in small dips in the black volcanic earth, separated by low stone walls. 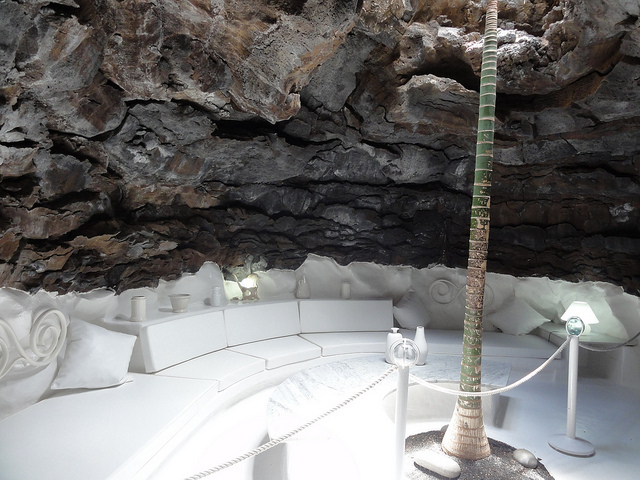 An astonishing place, Jameos del Agua is another Manrique creation. A huge cave with a collapsed roof it hosts a concert hall, swimming pool and gardens. The bright blue colour of the water surrounded by the white landscaping and cacti make it aesthetically very pleasing. 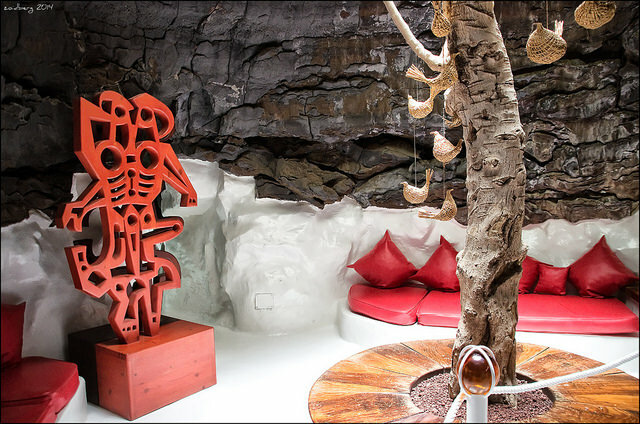 The imagination and innovation shown by Manrique in developing this cave is astounding. Near Jameos del Agua is Manrique’s Foundation and this is my favourite of all his creations. A stunning development, Manrique created a house out of a series of volcanic bubbles by joining them together. You really have to visit to comprehend just how the artist used the landscape to create this building. It has a 70’s vibe and houses works by Picasso, amongst other renowned artists. A white bubble leads to a red bubble with a tree growing out of it, a sunken garden leads to another of Manrique’s azure blue pools. One of the rooms looks onto the lava field with a huge window and lava running across the floor of the room. It gives the sense that there is no window there, with the volanic rock spiling into the house. It’s a house like no other, beautiful, futuristic, crazy, artistic and designed to reflect and enhance the landscape. It reminds me of a location from the Avengers. Imagine this is your living room…. 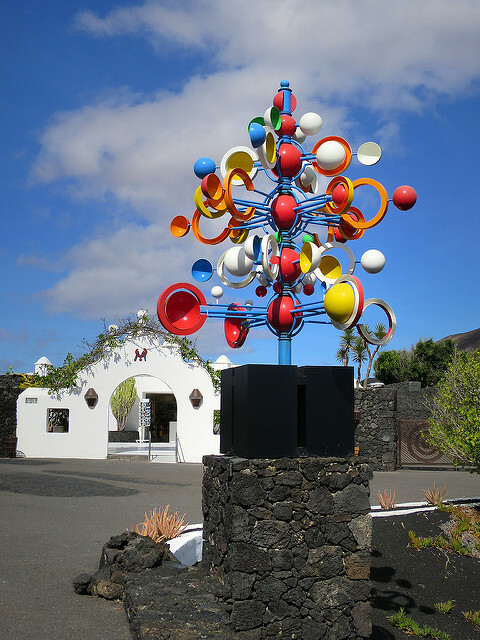 On roundabouts throughout the island and outside key Manrique locations, you see large, geometric colourful structures that move in the wind. I’ve scratched the surface here for there is much more to see in Lanzarote than I managed to get to in a week. Manrique also designed a cactus garden and Mirador del Rio, a viewpoint concealed in rock, neither of which I have yet visited. But I like a reason to return. 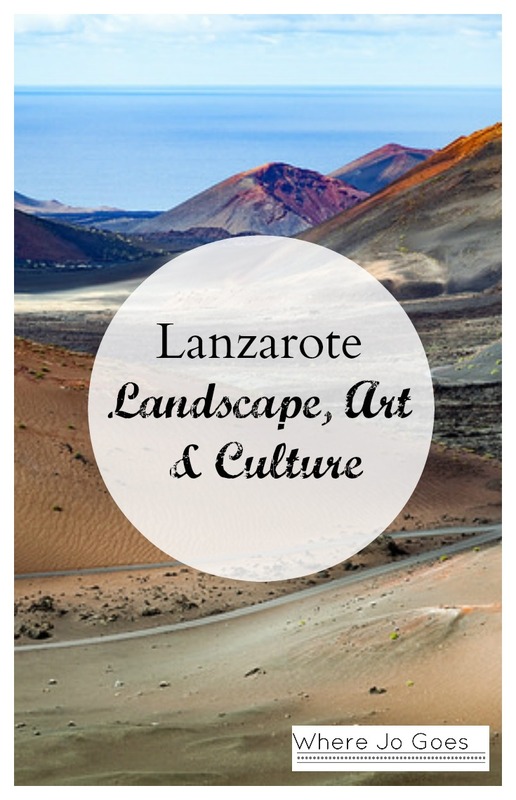 If you are looking for culture, for art, for breathtaking landscapes both man-made and natural, for buildings conjured from volcanic rock and pure imagination, for sunshine in winter and sea breezes in summer, then Lanzarote should be top of your list. It’s a relatively small island so it’s possible to do all the highlights easily. Well worth a visit. Thanks for reading. Beyond the beaches there is a lot to see! I would LOVE to stay in that lava house! I had no idea that kinda place existed. I really need to check out more of the Canary Islands next time i’m back in Europe. Sadly you can’t stay in the lava house, but it would be awesome if could! It does look like a really fascinating place to explore though! That pool looks amazing! What a unique and beautiful landscape! I’ve read about the island, but nothing that grabbed my attention. Now it’s definitely on my radar. Thanks for sharing! I’ve never heard of this place but the photos are intriguing. I’ll have to research more about it. I am really wanting to get to the Canary Islands– I’ve heard many good things about them. I have never heard of this place and looks amazing. Almost like moon landscape. Totally fascinating looking place and wonderful photos. I haven’t heard of this place but I can’t believe it has a bad reputation. This place looks so unique and fascinating. The landscape looks amazing especially with all the creative art. I wouldn’t mind visiting here. It perhaps suffered from hard drinking holiday makers in the 80s but it has so many wonderful things to see! Really interesting, we spent the summer in the Canary islands, but did not get to Lanzarote. It truly looks like you are on another planet. I love that lava rock house so amazing! The Canaries are all so different, I’d like to visit more. Thanks for reading. It is a really stunning effect. Thanks for reading! Years ago it used to attract a ‘Brits Abroad’ crowd. Luckily those days are long gone. The great thing about Lanzarote is it’s a small island so you really can see nearly everything! That looks just wonderful! I’ve been to Gran Canaria and Tenerife, but I’m keen to explore the other islands as well soon! Have you been to any other of the islands as well? 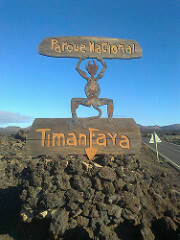 HI Viki I have been to Fuerteventura as well, that too has a UNESCO heritage site village. Thanks for reading. 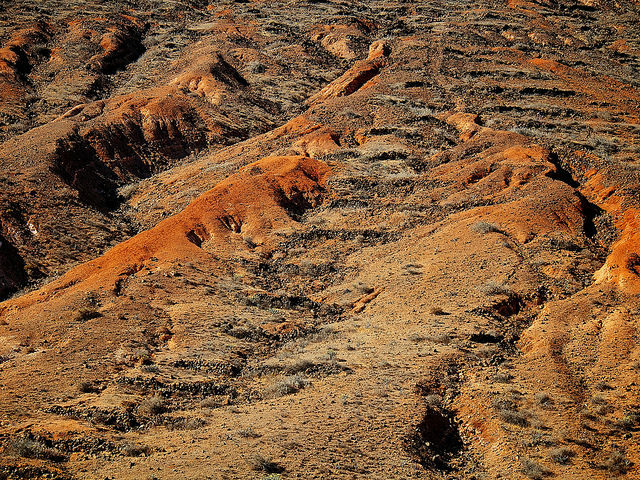 Photos of these types of Landscapes are just great! 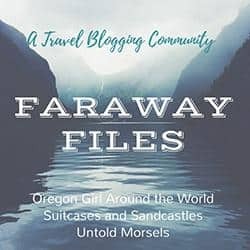 Really enjoy reading and learning about new places of never heard of before, so this post was a breathe of fresh air! I enjoyed reading about Manrique, thank goodness he had such an influence! His house is so creative, with that lava coming in through the window! I didn’t know Lanzarote had a bad reputation! Why is that? I’ve been there when I was really little and the only thing I remember is camel-riding. Would definitely love to visit again though! I love volcanic landscapes, they are so unusual and you can literally see the geographical history of the land laid out in front of you. Great post, thanks for joining the link-up! that place is truly beautiful! Wow this really is inspiring! 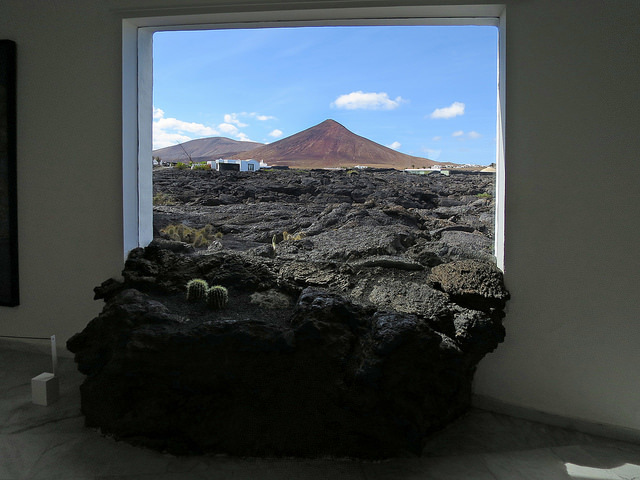 Had heard of Lanzarote before, but not it’s incredible architecture – looks stunning! The landscape looks incredible! My friend’s sister owns a place out there and has been asking me to visit … I think I’ll have to after reading this post. We got some winter sun in Tenerife last year and I loved our trip. It was quiet, relaxed, and sunny – just what we needed. I adore volcanic islands – such splendid, interesting landscapes to enjoy. I’d love to visit and see this side of the island. We found the same in Tenerife – if you look away from the ‘grotty’ bits they are excellent islands! Agree Anna! I haven’t been to Tenerife but I’ve heard there are some parts of the island well worth visiting. Before today I had not heard of Lanzarote! Hard to understand how any of the Canary Islands could have a bad reputation! It looks nice, I definitely like the art. Thanks for sharing on #TheWeeklyPostcard. Happy to read this again! Thanks for linking up with #TheWeeklyPostcard! It’s very Bond! 60s style, it reminds me of the Avengers! Incredible! This is just beautiful! Thanks for linking up this week with #wkendtravelinspiration! A wonderful post about this picturesque island. Great images as well.